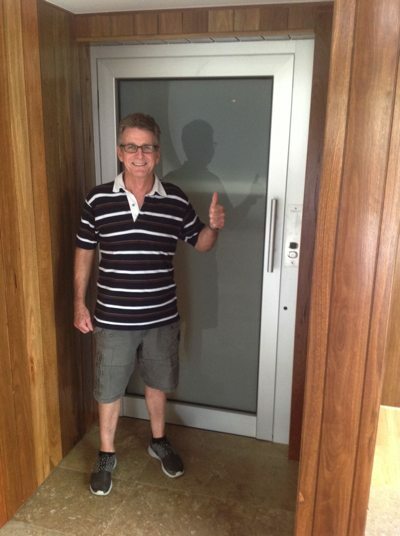 Brian from Rochedale in Queensland explored all the options available in the home elevator marketplace, it was important for Brian to know exactly what he was in for when it comes to quality, design and maintenance. Nobody wants to purchase a lift only to be struck by unexpected surprises, costs or hassle. That’s why with the DomusLift home elevator, what you see is what you get. This is the most popular home lift in Australia, so you know that it has to be doing something right. 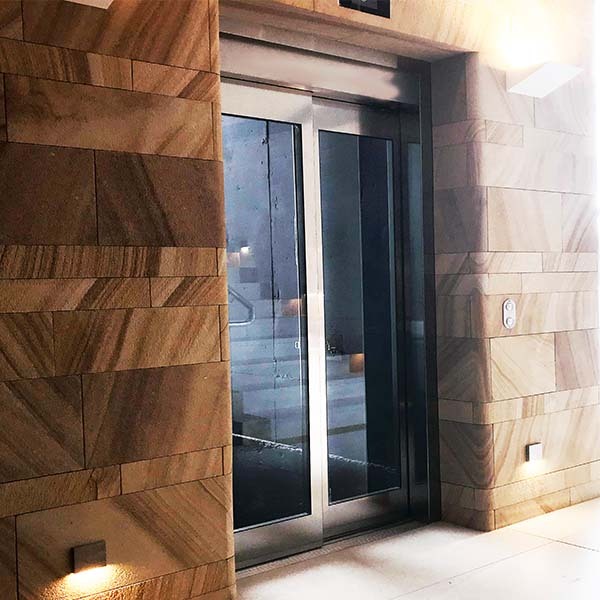 Having been designed, engineered and manufactured in Italy the DomusLift is made to extremely high European standards, so you know you’re in the lap of luxury. Both style and quality come together to make it a beautiful and incredibly functional option for the home. As well as this, the installation is incredibly easy and Brian was astonished at how little fuss the whole process takes. Due to its sophisticated design, it requires minimal maintenance and upkeep so you can forget about having to do any hard work! It’s also a great mid-size elevator, with a lifting capacity of 300kg – or roughly the equivalent of five people. It also travels at a speed of 0.25 metres per second, meaning that it’s efficient and won’t leave Brian hanging around anywhere unnecessarily. Furthermore, Brian found the DomusLift to be the most flexible residential lift option on the market. 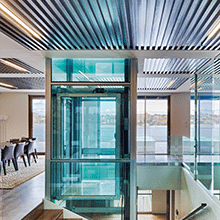 With over 90 design variations including adjacent entrances, Brian was impressed when he discovered this as it allowed the DomusLift to service all 3 levels in his home. For peace of mind, it’s also packed full of safety and emergency features so you’ll never have to worry about what may go wrong. For example, if there is a power failure then your elevator will return to the lowest floor and will unlock the door so you can exit safely – and there is a 24 hour emergency service telephone line installed in every elevator. Of course, one of the most fun things about purchasing a home lift is customising and decorating it. 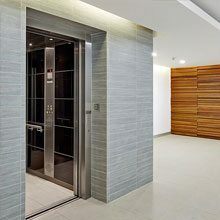 With the DomusLift you’re able to choose your own colour scheme and overall elevator style. Brian opted for panoramic doors with frosted glass and laminate walls inside the lift car finished off with grey rubber flooring for a beautiful modern look which beautifully coordinated Brian’s interior scheme throughout the home. Easy Living Home Elevators can help you realise your dreams for your home space. Customisable options ensure that your unique home design will be a success and our personalised service guarantees satisfaction. Contact us and speak to your local lift consultant, Easy Living Home Elevators will help you realise your dreams.